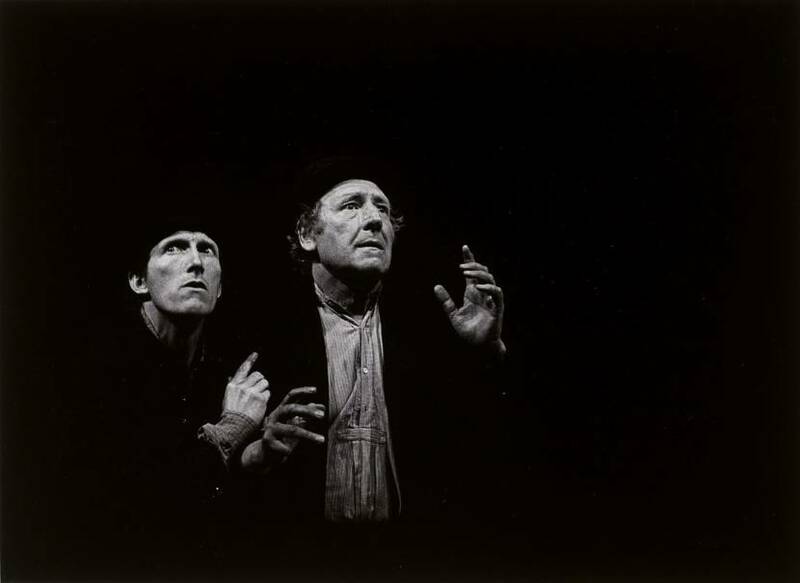 A 1978 production of 'Waiting for Godot' by Samuel Beckett. A debate rages: should the House begin impeachment proceedings now or await the Mueller report? First, what is impeachment? Impeachment is the bringing of a formal charge. It is like an indictment in criminal law. Impeachment is at the sole discretion of the House of Representatives. If the House impeaches, the Senate sits in judgment. That is, the House brings the charge, and the Senate sits as trial court. If the president is impeached, then the chief justice (not the vice president) presides over the Senate. As in criminal law, the police investigate, the district attorney brings the charge, and a trial follows to determine guilt or innocence. Many counsel patience. Given the definition, they say, it makes sense to await the end of the Mueller investigation before bringing a charge. Moreover, they are concerned about the divide in America. Concerned any impeachment would be considered politically motivated. Afraid votes would run along party lines: Trump would be impeached by a Democratic House but never found guilty by a Republican Senate. Wary because, after President Bill Clinton was impeached but not found guilty, Congress suffered and Clinton was more popular than ever. However, there are arguments on the other side. The Constitution made both the investigation and bringing of the charge the obligation of the House. 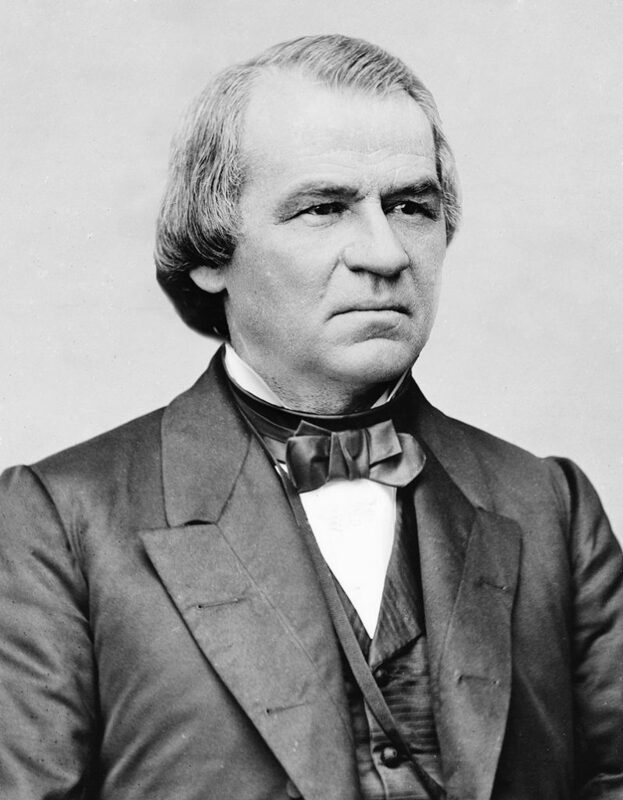 In the only two impeachments ever brought against presidents, Clinton and Andrew Johnson (1868), matters were investigated in the House. The presence of a special counsel was irrelevant. If one was appointed, as in the Clinton case, the two investigations ran concurrently. Constitutionally and traditionally the House investigated. There are advantages to public hearings in the House. The special counsel, in the Department of Justice, operates in secret and only “speaks” to the public through its court filings. Even those are redacted. The House investigates in public hearings. We become familiar with the facts in the case. Those facts are presented in a formal manner, well established historically and, therefore, less vulnerable to dispute and debate. In the matter of Richard Nixon, there were public hearings in both the House and the Senate. Nixon resigned before a charge was brought because, based on the public inquiries, Nixon was assured he would be impeached, tried and probably found guilty. Of equal importance, as the facts were made public, Nixon lost popular support. For two years, allegations have been rife. They have been presented to us by the press, and immediately supported or refuted along partisan lines. For several reasons this is not entirely satisfactory. POTUS continually calls it “fake news.” Speaking from his bully pulpit, some are bullied. The press does not reveal its sources, is not fully transparent, or infallible. Absent a formal process accepted by all, facts are more easily disputed, the narrative less well understood. Finally, for two years, facts came out like a faucet dripping. The daily repetition is a problem. Let’s say you experienced a traumatic event. You were the victim of a crime or an accident. As a result, you suffered post-traumatic stress disorder. Your normal sleeping and eating habits were interrupted; you had nightmares or even waking hallucinations. There may be several differing treatment plans but each one would include repetition. Repetition—repeating the story of what happened over and over—is an important antidote to PTSD. Retelling reduces the impact of the event. Repetition counteracts shock and even horror. If you just returned from Mars or an earthy outpost without connectivity, you would be shocked and horrified by the collective accusations lodged against POTUS and his cohorts. Alas, those of us present daily for the last 24 months have become inured just like the victim with PTSD whose symptoms are lessened by retelling. Some say we must wait. The danger is that the longer we wait, the less likely we will be to accurately judge the seriousness of whatever Mueller reveals. The familiarity with the Mueller findings will lessen their impact. Some say we must have the evidence before we bring the charge. 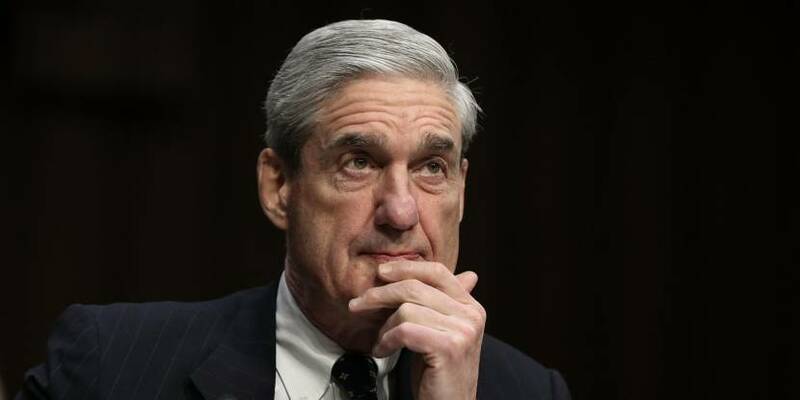 What assurance do we have that the evidence Mueller finds will be presented to the public? Might not public hearings commence so we as a nation can come together, experience the presentation of evidence, and agree on the necessity to bring a charge (impeachment) or the lack of justification for impeachment? Every report ends with the words “we must wait for Mueller.” Must we? In 1952, Samuel Beckett wrote “Waiting for Godot.” It has been produced ever since because it is deemed an important play. Critics argue it is existential or religious. It is about life being irretrievably meaningless or flush with expectation. Godot is the symbol for God or salvation or redemption or hope. I think critics get overwrought. “Waiting for Godot” is about waiting for something that never comes. The meaning is simple: Life becomes meaningless if all you do is wait. We really must act, each according to our obligations and abilities. For our sake, for Trump’s sake, for the sake of his most ardent followers and worst critics, we need an honorable, traditional, respected process of discovery, endorsed by and simultaneously shared with the public. We need the truth and we need it now. It must be a joint effort. If we do it for no one else, do it for Mueller. How can we put the future of our country, the full weight of truth and justice, on the shoulders of one man? Undivided power was the first principle our Founding Fathers stood against; it was the first circumstance the Constitution made impossible. Besides, however competent and honorable, it is too much to ask. A steady ship has many oars. Author’s note: The Johnson impeachment is interesting because it comes the closest to the accusations brought against Trump: nine of then 11 charges cited Johnson’s removal of Secretary of War Edwin M. Stanton—similar to the Comey dismissal but for different reasons. Johnson was Lincoln’s vice president. When Lincoln was assassinated in 1865, Johnson was sworn in as president. Johnson implemented a lenient Reconstruction policy as Lincoln envisioned. However, Stanton and the Republican Congress disagreed. Congress passed the Tenure of Office Act that prohibited President Johnson from removing officials confirmed by the Senate without Senatorial approval. It was designed to shield members of Johnson’s cabinet like Stanton. Johnson thought it was Congressional overreach. To test the constitutionality of the law, Johnson fired Stanton. Johnson was impeached in the House, but the Senate did not reach the two-thirds majority necessary to convict him. One party always dislikes the candidates of the other party. Sometimes the dislike turns to hatred. That does not mean the hated one should be impeached. Simply put, after two years of constant investigating, there is no actual evidence – not just conjecture – that the President has committed any impeachable offense. And the chance of the Senate convicting is zero. So the whole impeachment thing is just a waste of time, and of taxpayers’ money. As of this writing, there is still not a single shred of evidence of Trump/Russian Collusion. Carole, please keep repeating that until your Trump Derangement Syndrome subsides….. Your TDS is destroying your credibility. You missed the essence of Ms. Owens article and focused on a singular remedial concept that she mentioned as part of a much larger picture. There is plenty of credibility in the concept of an open, transparent and comprehensive investigation by the house of representatives that the American people will see clearly from start to finish. That is what her article is all about. You missed, or perhaps chose to miss, the point and painted a non-existent bias using an UN-warranted distribution of PTSD. I always, and I do mean always, look forward to reading Carole Owens articles whether they focus on local and regional history, current events or politics. My main reasons are these: I never know what she is going to say. She often provides perspectives I haven’t even considered on important topics. She goes beyond the sometimes shallow analyzation of the mainstream media to get to the heart of an issue. She knows the difference between fact and opinion, and is clear about that in her writings. I dare say there are more than just a few folks who agree with me, judging by the varied, positive and appreciative responses she receives regularly. On the other hand, Jim, I almost always know what you will have to say. It often has little or nothing to do with what has been written by the author. Rather, it tends to be an ideological dissertation promoting your personal views. Often your responses are longer than the articles themselves. And they often include ham handed attempts to demean and denigrate anyone who might hold an opinion different than yours. I will continue to read, with great interest, the responses of those committed to positively forwarding conversations on any give topic, whether I agree with them or not. Respond if you like, but I am quite finished reading yours. That’s the truth. Enjoy the freedom. I am not sure why we should effectively discard an investigation by the most competent members of the Department of Justice in order to begin all over again in the most political of arenas. We just have to make sure that the Mueller findings are public and that they are dully considered by the House so they can make a decision as to whether to bring charges. Of course this does not preclude the consideration of any other misdeeds by the President which are brought to light outside of Mueller’s mandate.